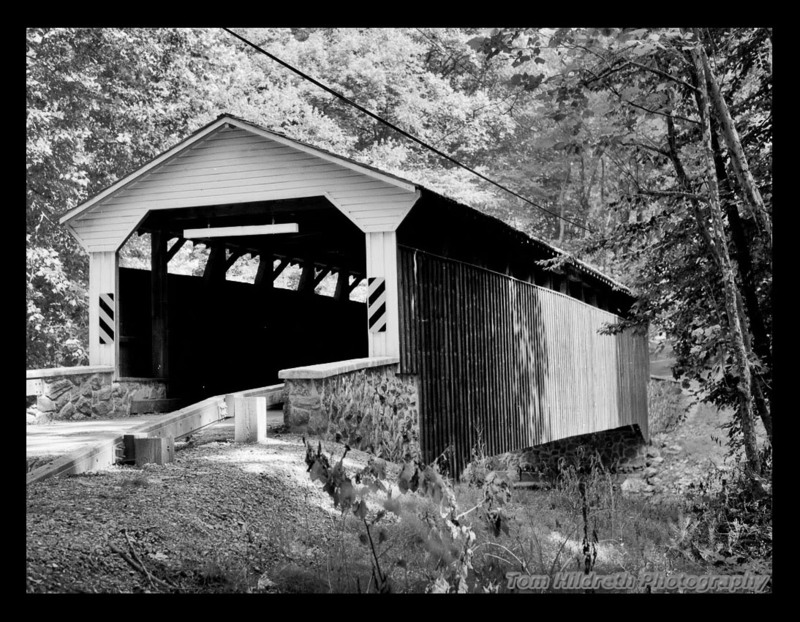 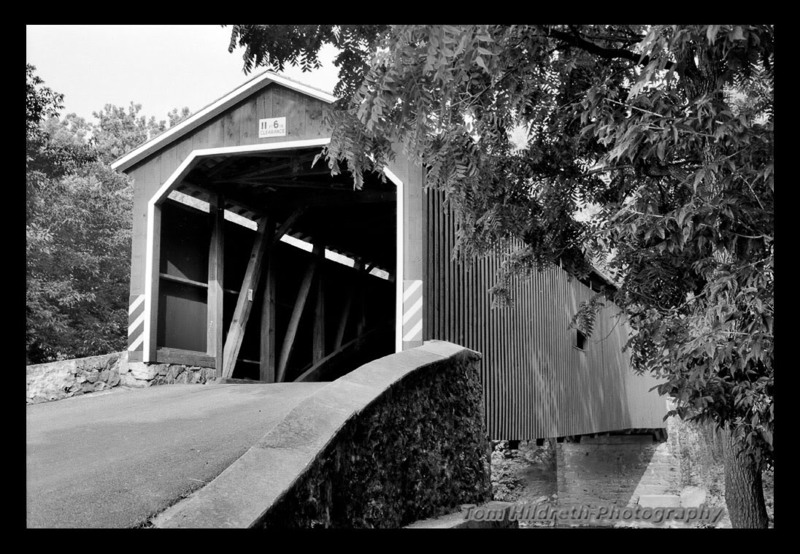 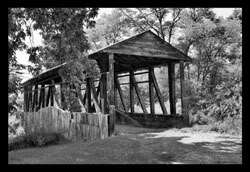 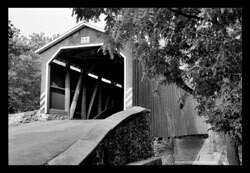 The Knisley Bridge over Dunning Creek in West St. Clair is an 87' Kingpost truss with Burr arches. 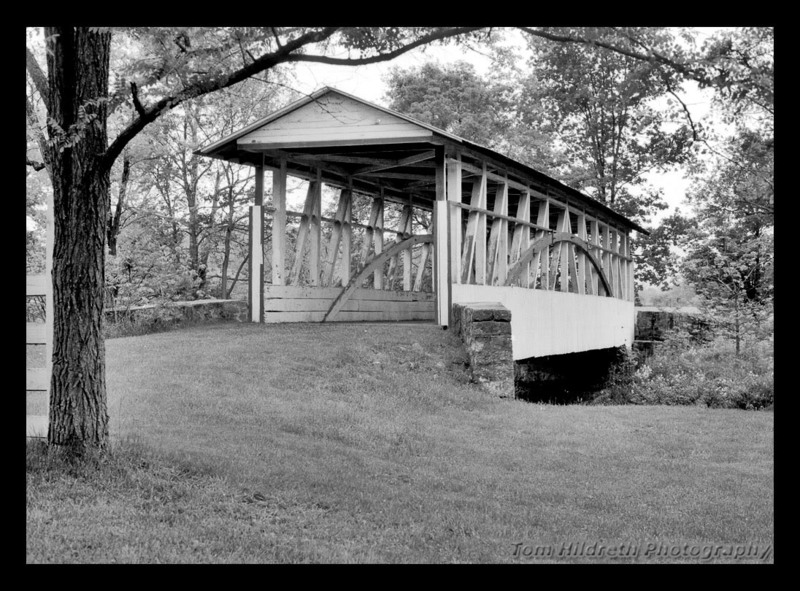 Ilford Delta 100, June 2001. 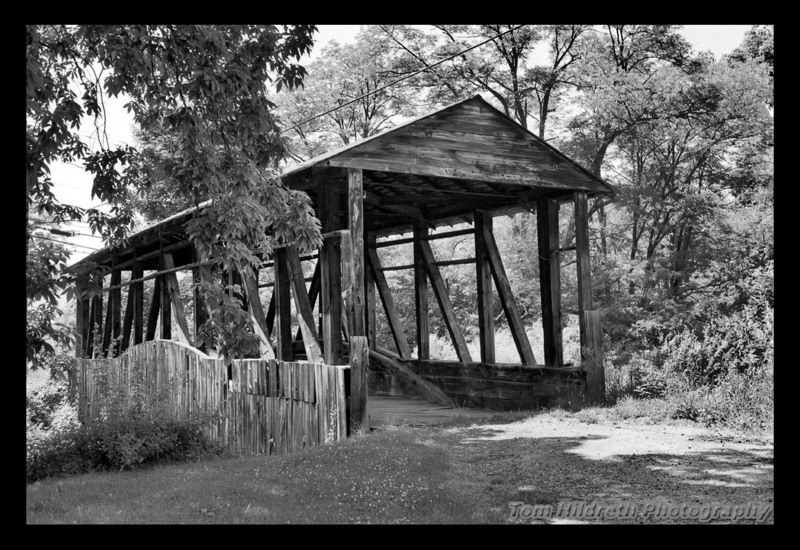 Another view of the Knisley Bridge over Dunning Creek in West St. Clair. Ilford Delta 100, June 2001. 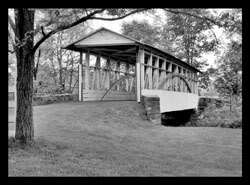 The Ryot Bridge is an 81' Kingpost with Burr arch design in West St. Clair over Dunning Creek. The Knisley Bridge over Dunning Creek in West St. Clair is an 87' Kingpost truss with Burr arches. 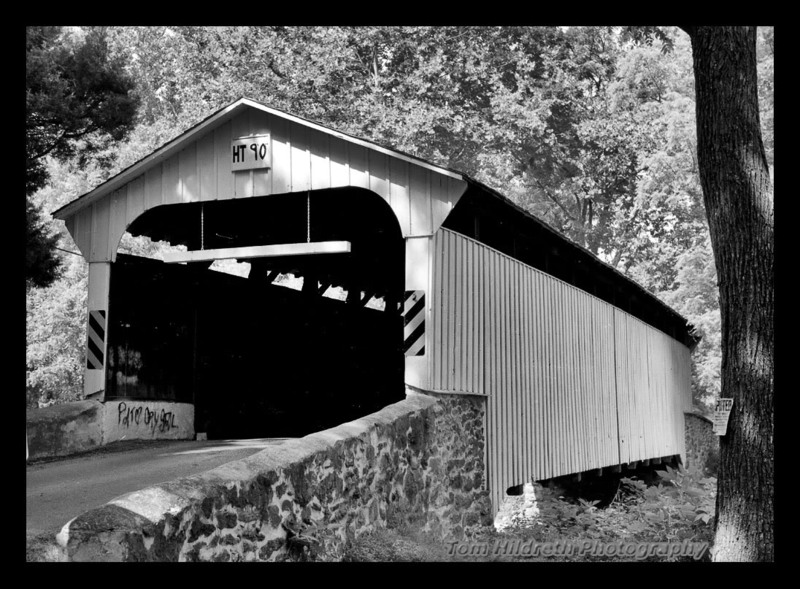 Ilford Delta 100, June 2001. 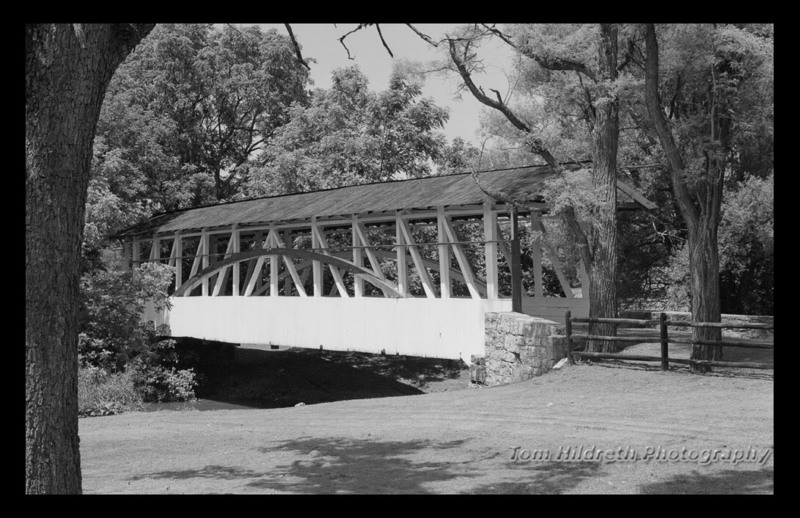 Another view of the Ryot Bridge, this one taken on Kodak TMAX 100 film 1 June 1992. 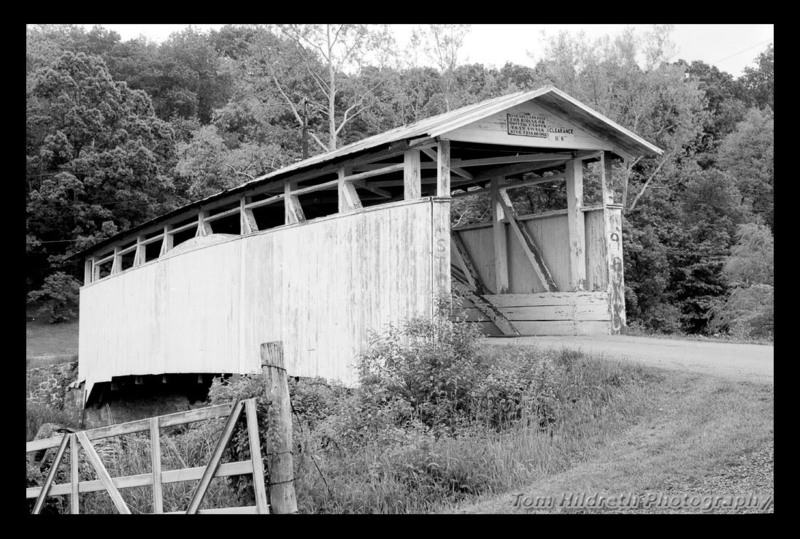 The Ryot Bridge was lost to fire in 2002. 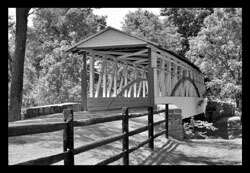 The Cuppert or New Paris Bridge spans Dunning Creek in Napier with a double Burr arch and multiple Kingposts. Ilford Delta 100, June 2001. 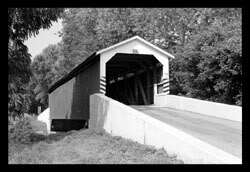 The Bowser or Osterburg Bridge spans Bob's Creek in East St. Clair with a 98' Burr arch design with multiple Kingposts. 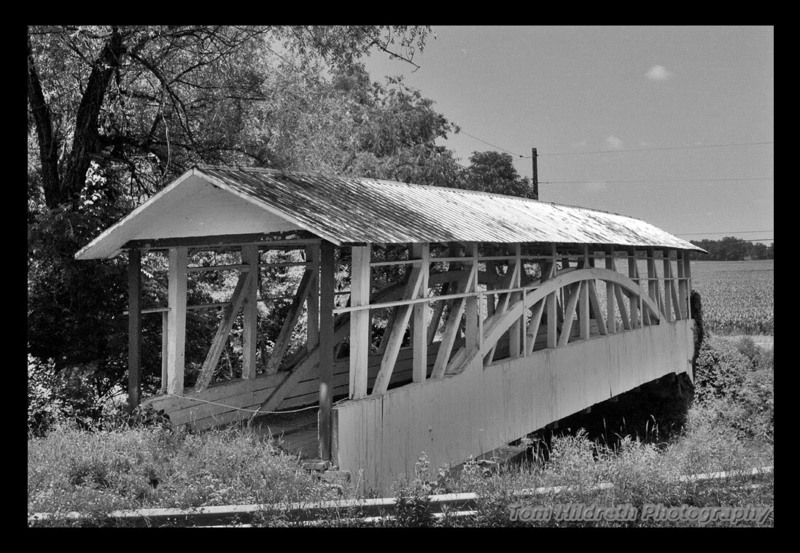 Ilford Delta 100, June 2001. 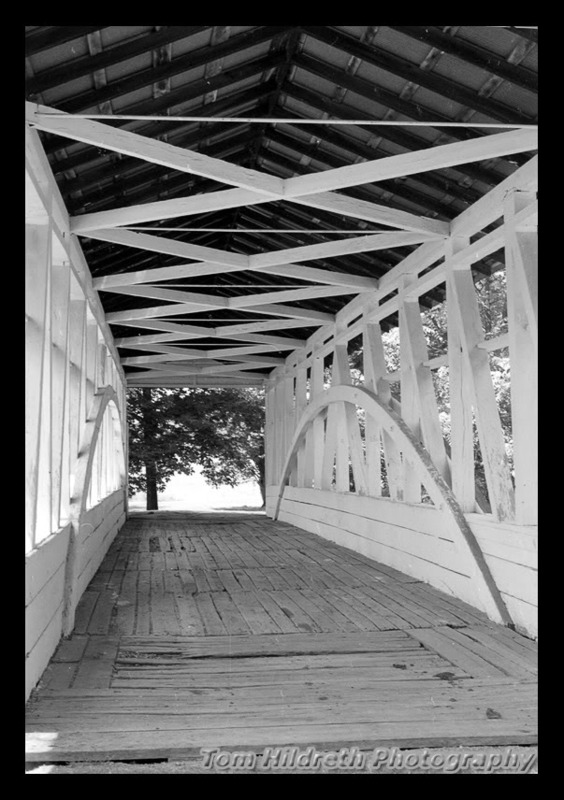 Interior view of the Bowser or Osterburg Bridge spans Bob's Creek in East St. Clair with a 98' Burr arch design with multiple Kingposts. 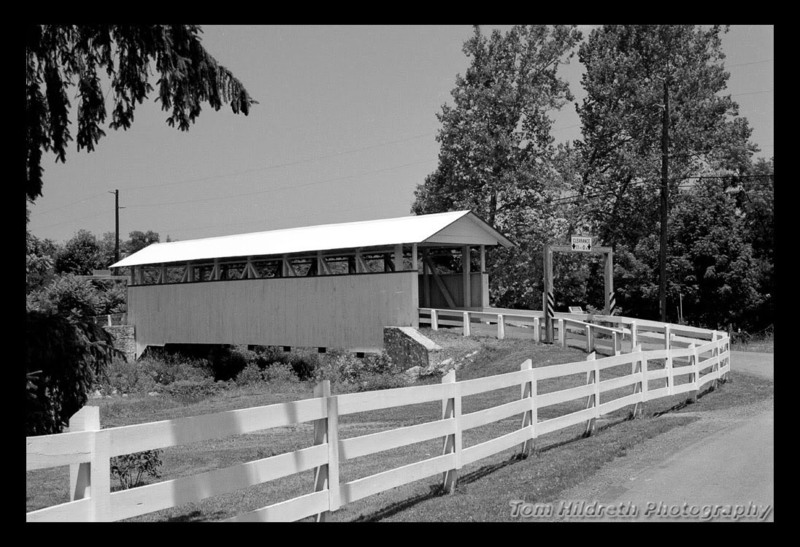 Ilford Delta 100, June 2001. 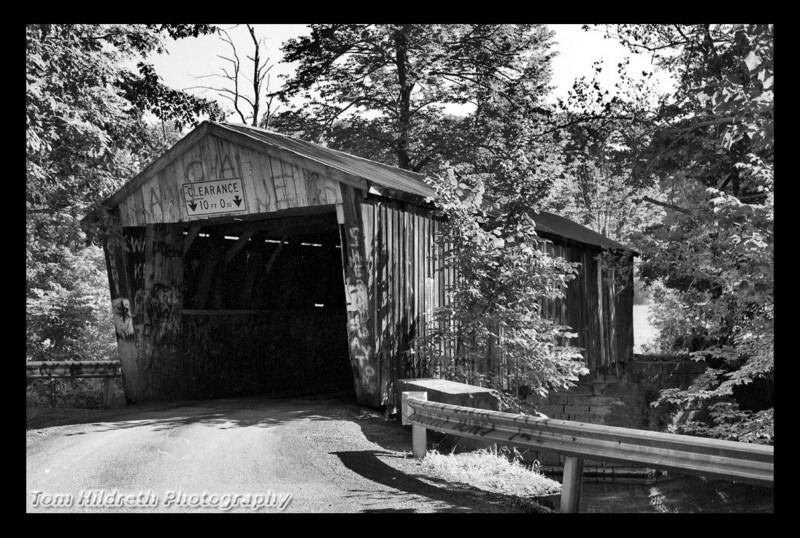 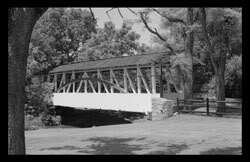 The correct location and identification of this bridge is unknown to the photographer. 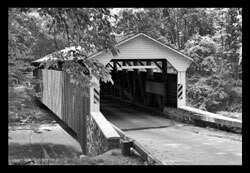 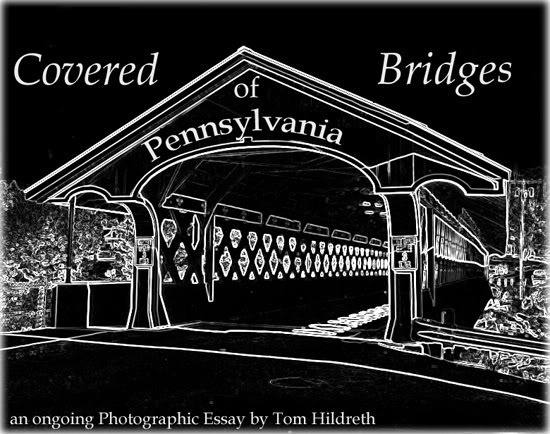 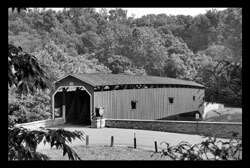 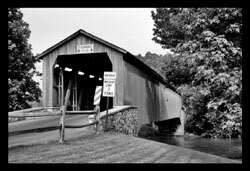 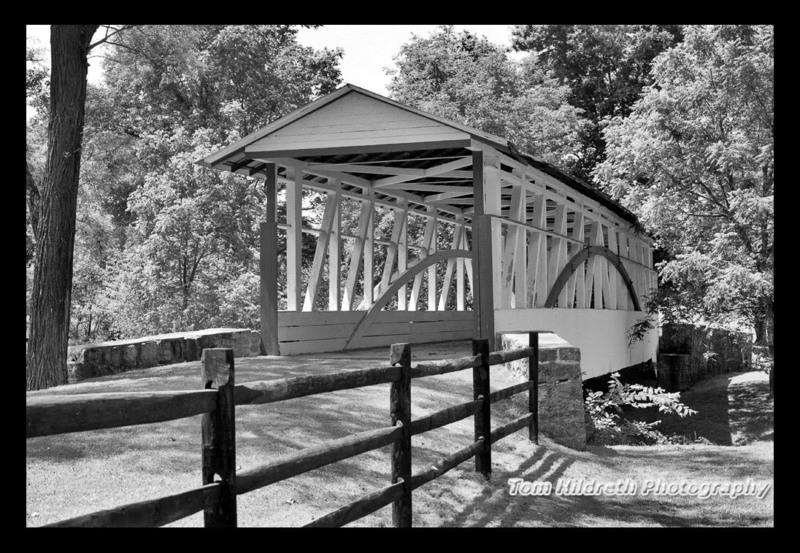 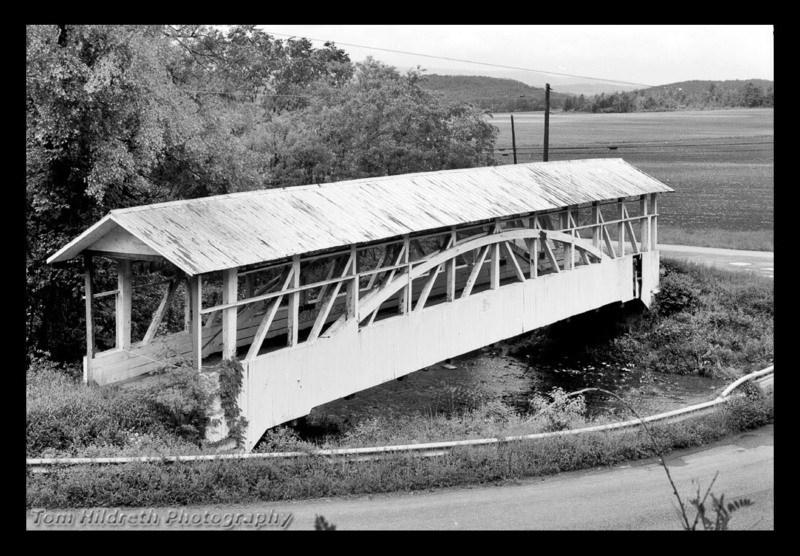 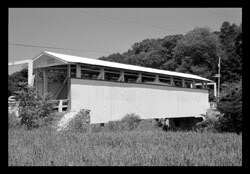 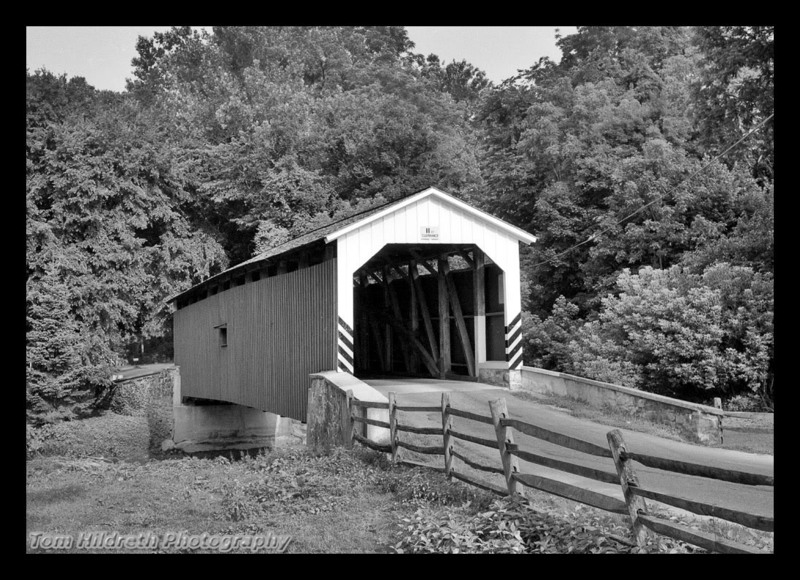 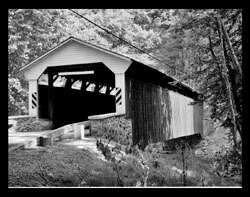 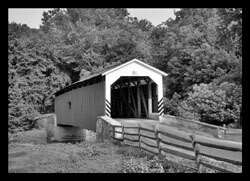 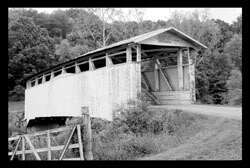 The Lime Valley Bridge is a 104' Burr arch bridge built over Pequea Creek in Strasburg in 1871. 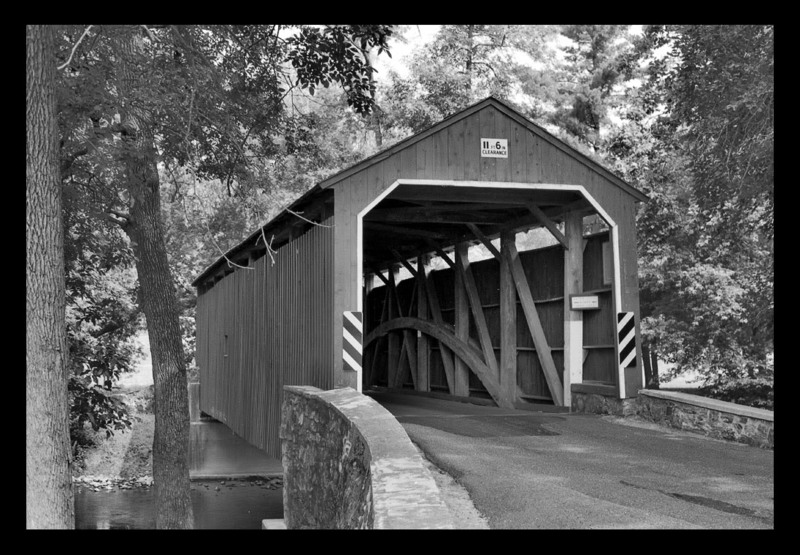 Ilford Delta 100, June 2001.